Ever felt like a stranger in your own life? Artist Samantha Paige, the creator of Last Cut, did for far too long. It wasn't until she began deep, vulnerable self-inquiry and actively listened to the answers that her life began to change. A young adult cancer survivor and BRCA previvor, who suffered from PTSD and debilitating panic attacks, she finally started making the significant decisions, or last cuts, that made her feel as if her life were her own again. With this new way of being, she began to experience more wellness, happiness and freedom than ever before. 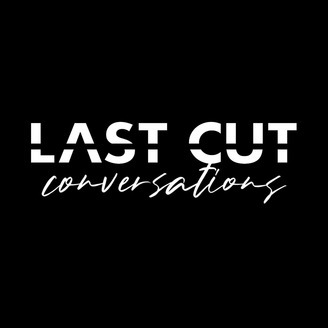 Last cut conversations is a series of real talk with others about what they believe in most and how they too have created a life that feels like their own. Freedom, as a word and concept, is still very much on the table for so many and the question of what it means to each of us is the theme of Season 2. This season features engaging dialogue with artists, activists, nature lovers, survivors, change makers and other brave and bold human beings, sharing the ways we each create a life that feels like our own (what we move towards and what we let go of in the process) and the (inner/outer) freedom found along the way. Every Monday, Samantha will share a new episode with an inspirational guest, bravely sharing their last cut stories. Last May, Juno Ishida and Eliza Hope Duran joined Samantha Paige for an honest conversation about living beyond the construct of a gender binary. In this special episode, Juno, a trans male university student, and Eliza, a gender fluid prize-winning poet, share their views about the boxes that society places us in around our bodies, gender and sexuality. They highlight what it means to navigate life beyond the gender binary and add insight and perspective to the experience of expressing one’s identity in a manner that lines up who we are on the inside with who we are out in the world. This powerful discussion touches upon what it means to lead an authentic life, how we take care of ourselves and ask for needed support in the face of judgement and how we find inner strength and connection when external, societal beliefs can make us internalize doubt and unworthiness. In light of the recent leak of President Trump’s memo regarding his administration’s plans to narrowly define gender as a biological, immutable condition determined by genitalia at birth, the time is now to be discussing the historical and current violence that trans, gender non-conforming and non-binary individuals have and continue to endure on a daily basis. Thank you to Juno and Eliza for bravely and boldly opening up with their own stories. Thank you to the Get Lit team for hosting the recording of this podcast at their Los Angeles studio. For more information on Get Lit, please visit getlit.org. N.B. : During the recording, we refer to Eliza as Erika, which was the name they were using at the time. They have since adopted Eliza. 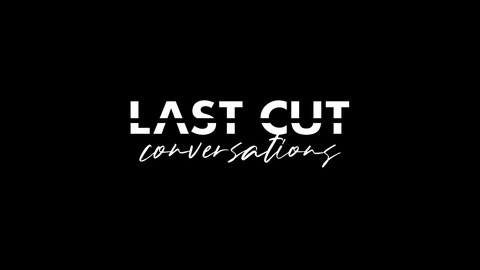 Please visit our website, lastcutproject.com, for more information on this interview and ways to support the trans, non-conforming and non-binary communities.